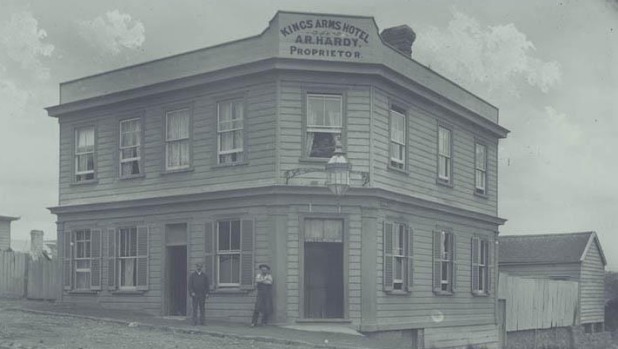 With news this week that the historic Kings Arms in Newton has been sold for redevelopment, the last of the music venues in heritage pubs in Auckland will disappear. Recently the Herald profiled historic pubs across the country that had contributed to the country’s live music scene over the years. Read here. Now the Kings Arms Tavern, which dates from the 1890s, will close as a music venue, despite calls to keep it going and and on-line petition gathering over 6000 signatures. Read about the sale here. Read an historian’s comments here.